Zap electric cars will be built in Kentucky. They have been built in China, but the cost of hauling them from China has become too expensive. So manufacturing is moving closer to customers, and the Energy Economy is going to unfold much like this--getting energy and energy saving devices as close to customers as possible. "We are not going to recruit ourselves to prosperity in this state," Kimel said. "That's a piece of it ... but by and large, because of the shift in this knowledge economy, our economy's going to be driven in the future ... by how good a job we do at creating the kinds of knowledge and entrepreneurs that can grow those companies." Notice Kimel's emphasis on knowledge creation and entrepreneurs as part of an overall economic development effort. That is where many of the new jobs are coming from, not from traditional industrial recruitment. The article goes on to note that the state can no longer recruit primarily based on lower cost (e.g. lower wages, lower cost of utilities, lower cost of land). Why not? Well, if you want low cost for your factory, you will take it to Asia, not to Kentucky, or any other state in the U.S., for that matter. It is a whole new ballgame in economic development, and an effective regional ED strategy should be developed using a clean sheet of paper and expert advice. One of the biggest problems I see? It's the boards that guide ED groups; too often, the board is comfortable with a Manufacturing Economy approach that produces lackluster results. Who is on your local ED board? Are entrepreneurs and Knowledge Economy businesspeople well represented, or does the board make up look pretty much like it did in 1983--the last year that industrial recruitment was effective as a primary strategy? 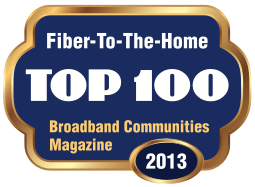 The state of Kentucky has set a bold goal to get broadband to every business and resident by 2007. This news article discusses ConnectKentucky, the statewide initiative. The governor sees it as an economic development issue, worth as many as 14,000 new jobs statewide. How about your state? Has the governor made broadband a strategic priority?